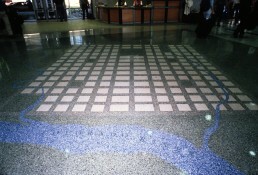 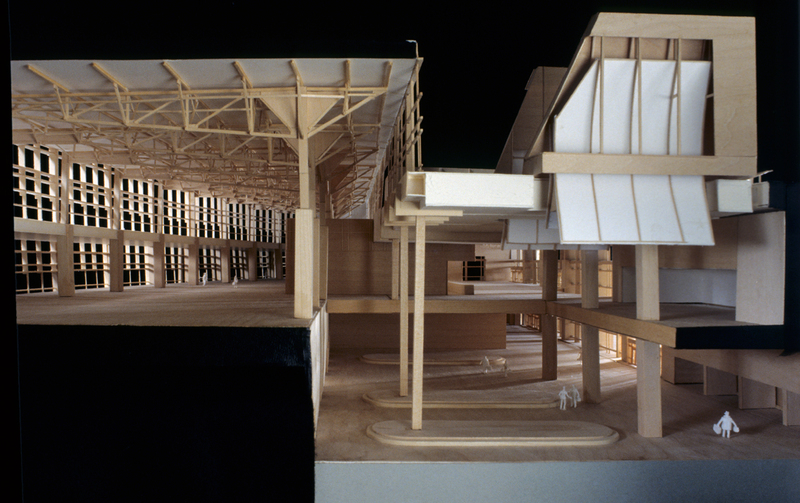 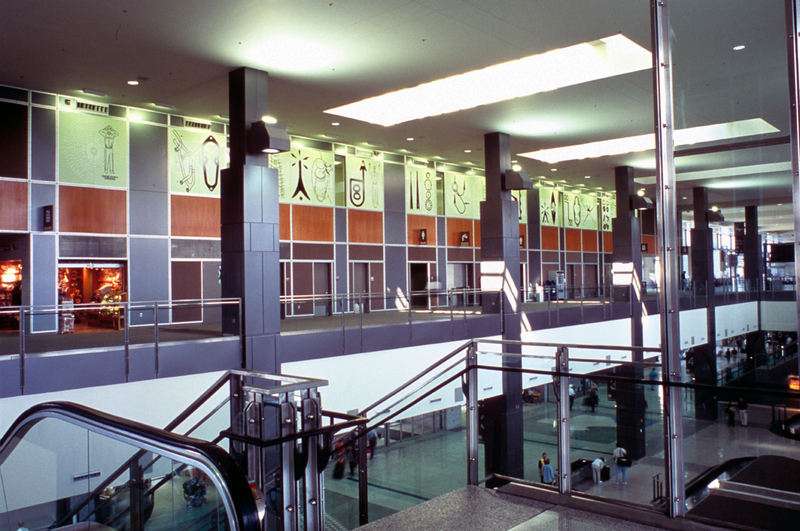 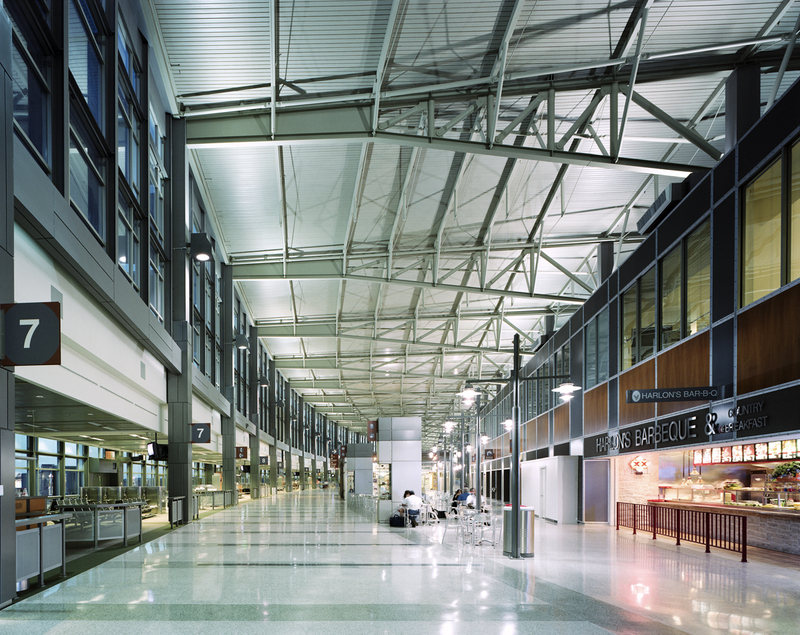 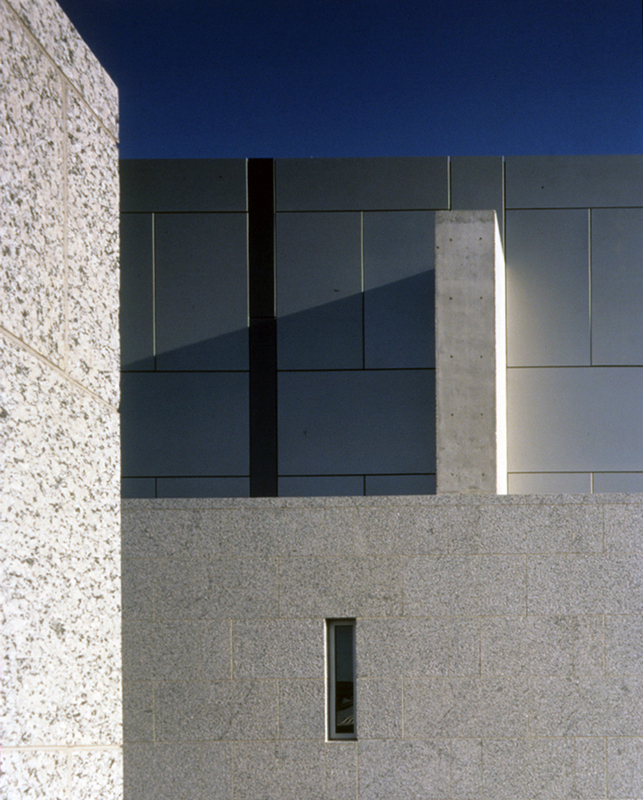 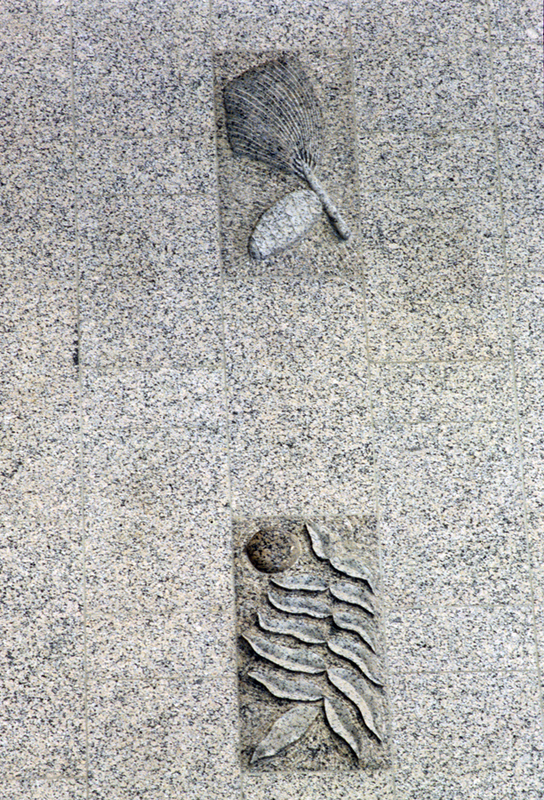 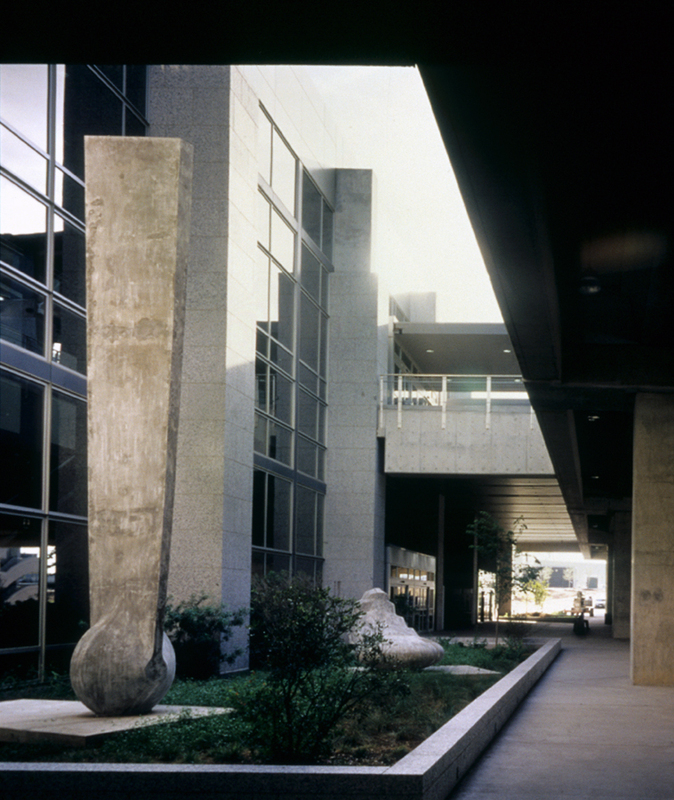 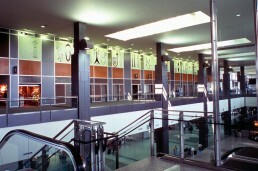 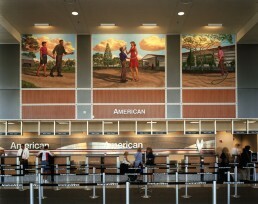 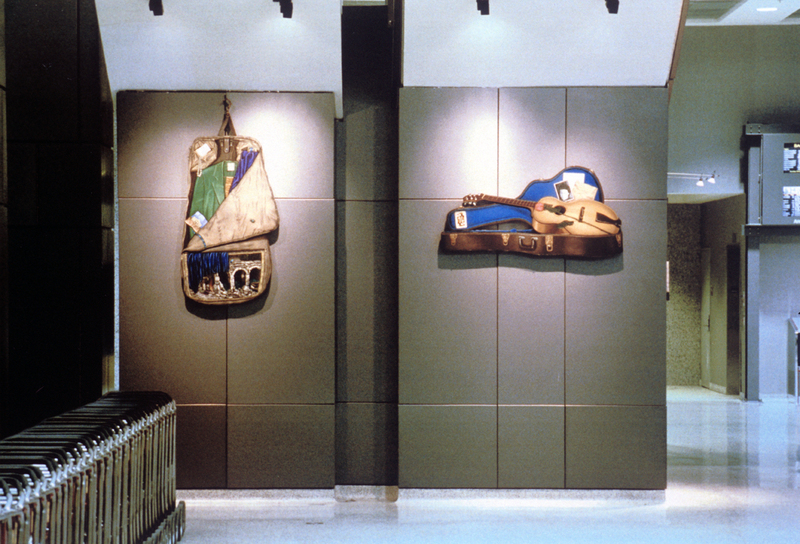 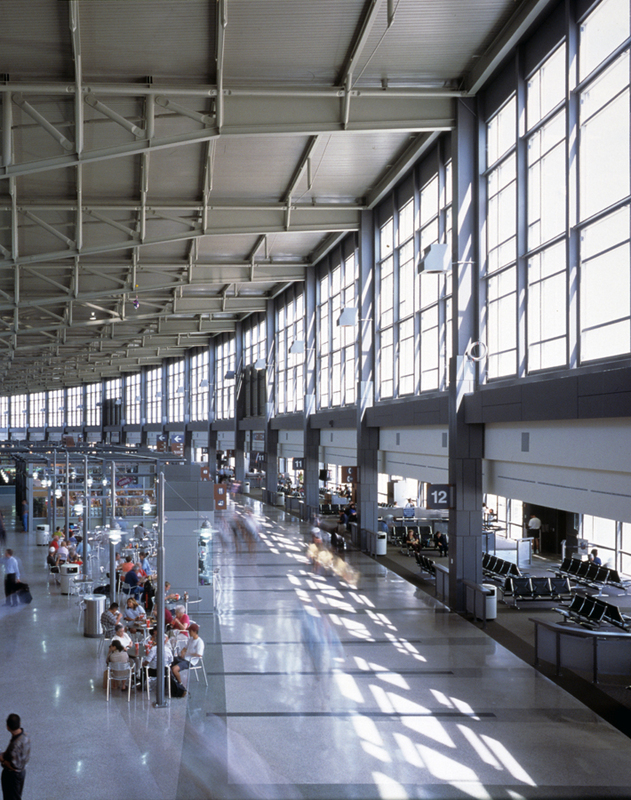 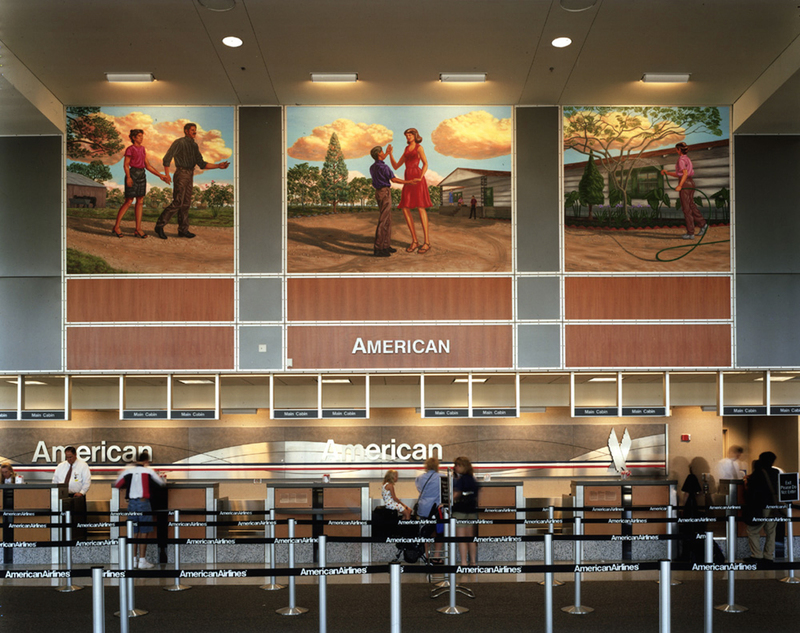 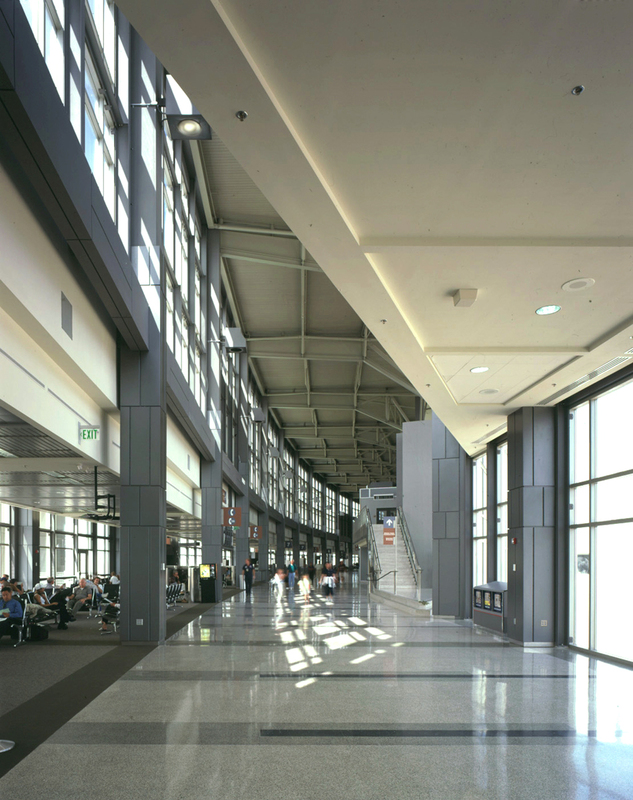 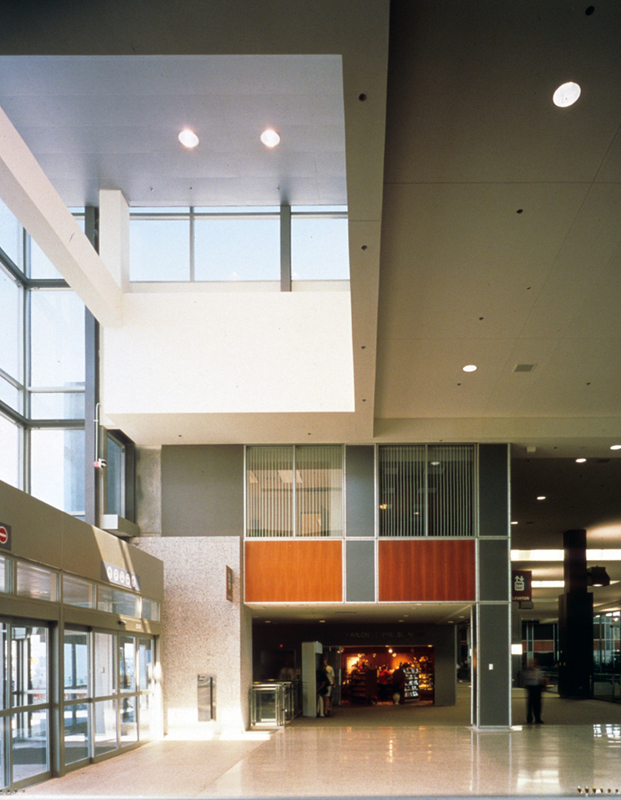 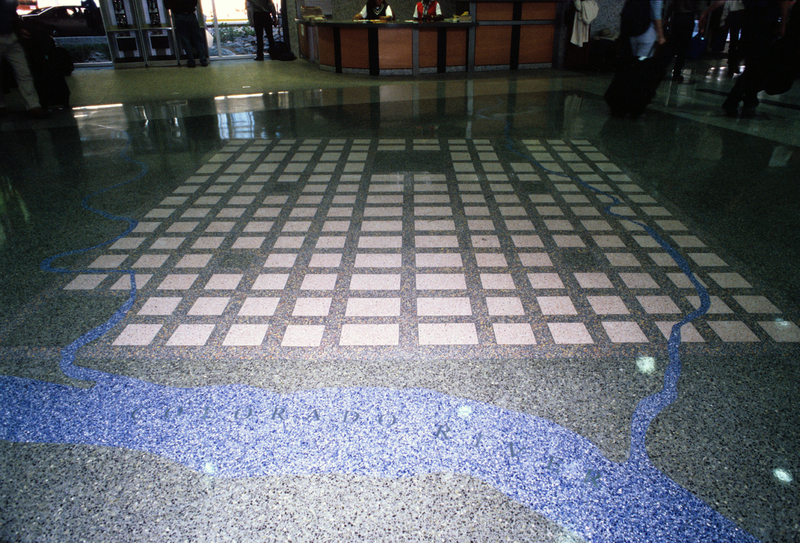 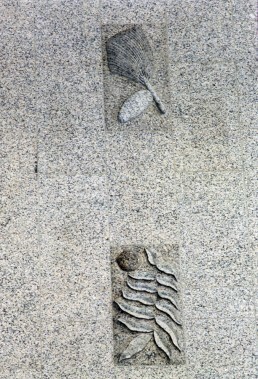 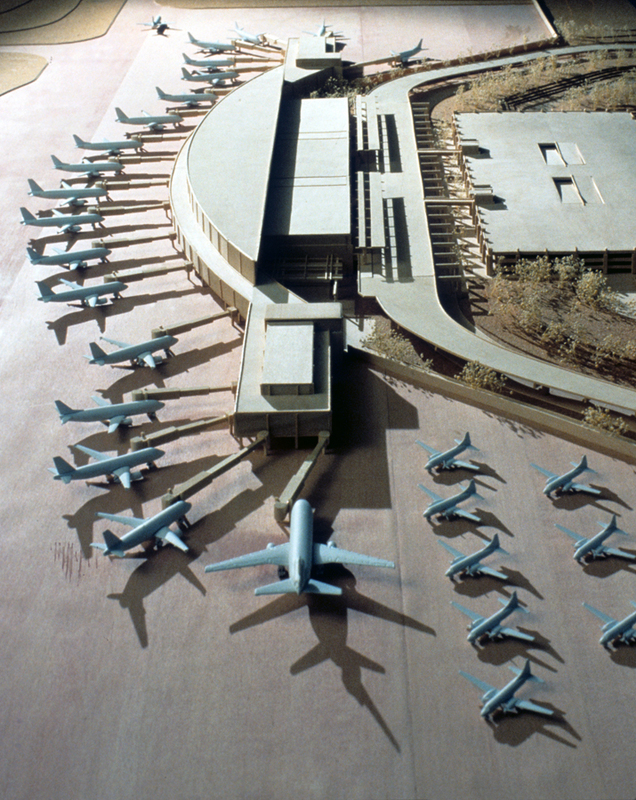 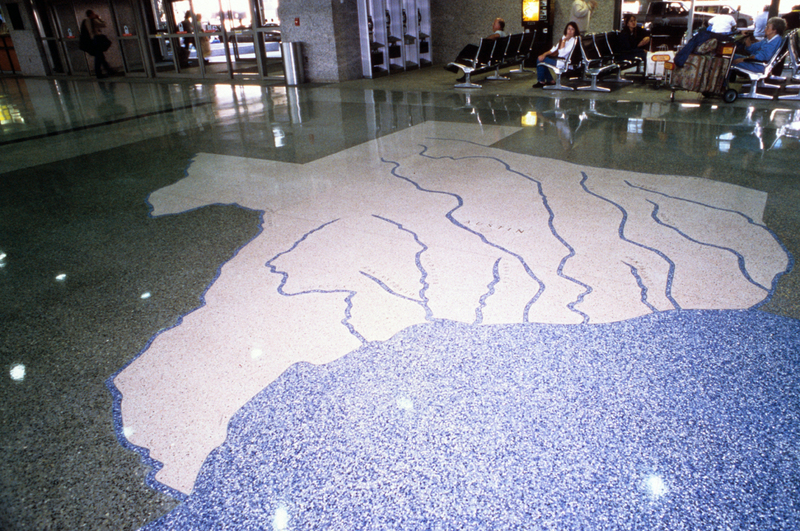 Local materials and iconography, a sense of openness, and a relaxed, informal character embrace Austin’s unique culture and heritage at the Barbara Jordan Passenger Terminal. 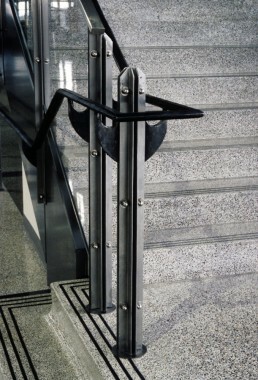 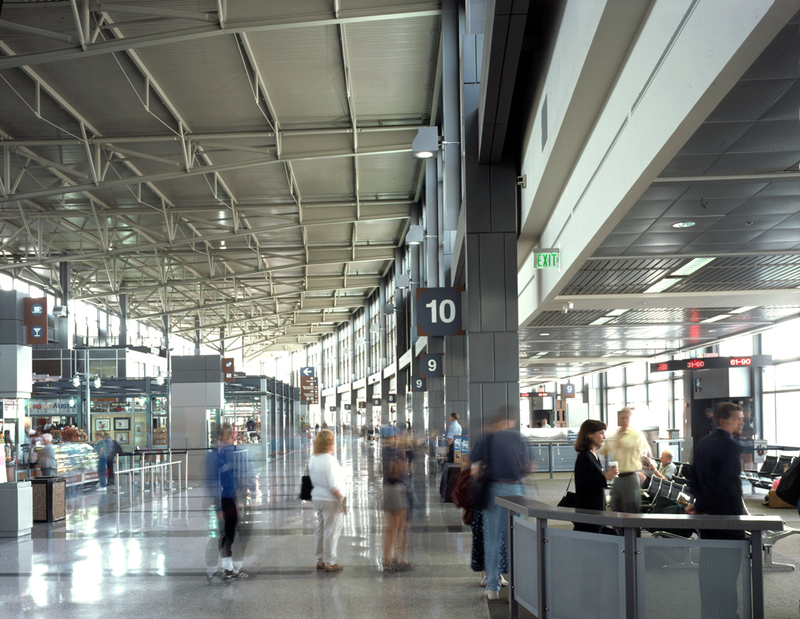 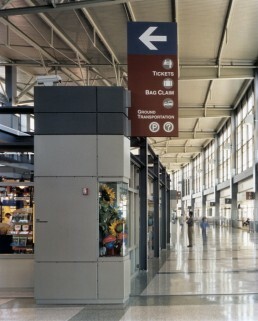 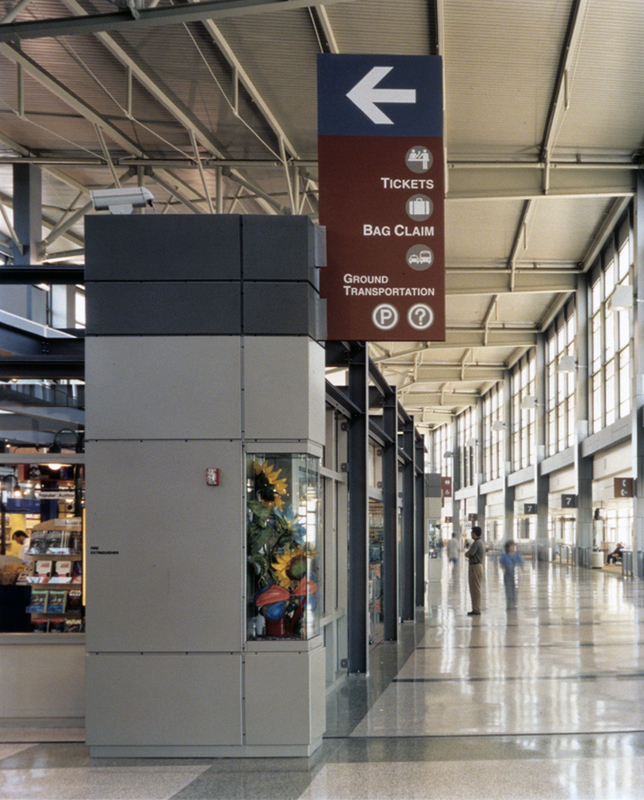 The crescent-shaped terminal organization is simple and direct, providing easy orientation and minimal walking distance from curbside to gate. 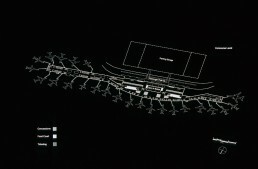 The plan maximizes visibility for concessions by creating a large central marketplace with a live music stage. 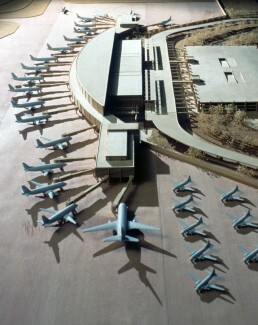 From this central space, the building opens to the apron, planes, runways as well as the countryside and big Texas skies beyond, joining this city’s love of the outdoors with a connection to flight. 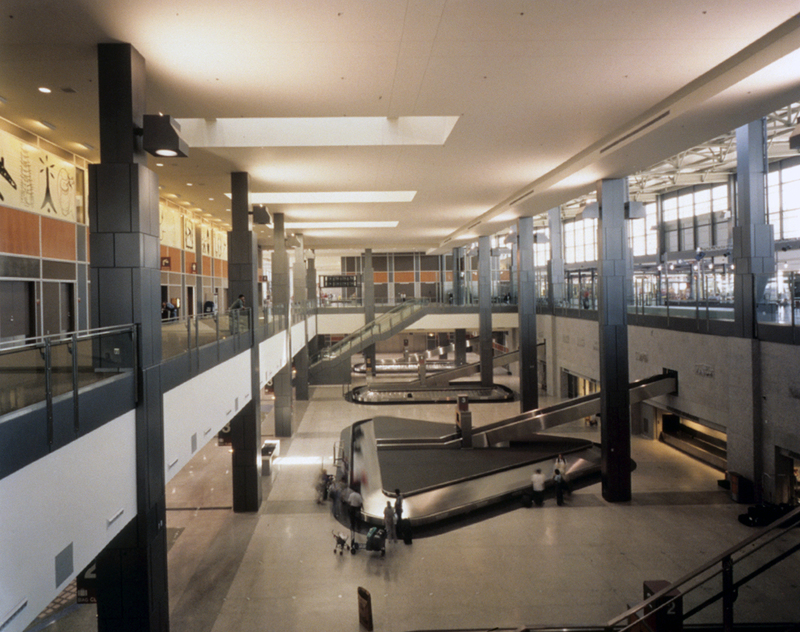 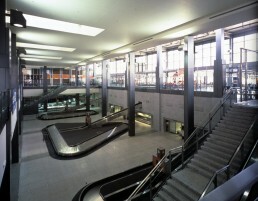 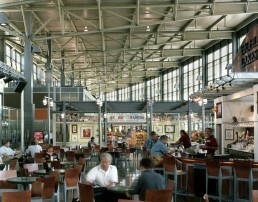 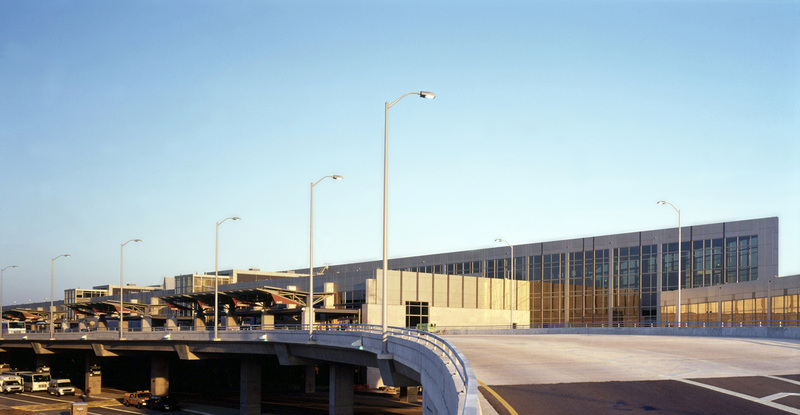 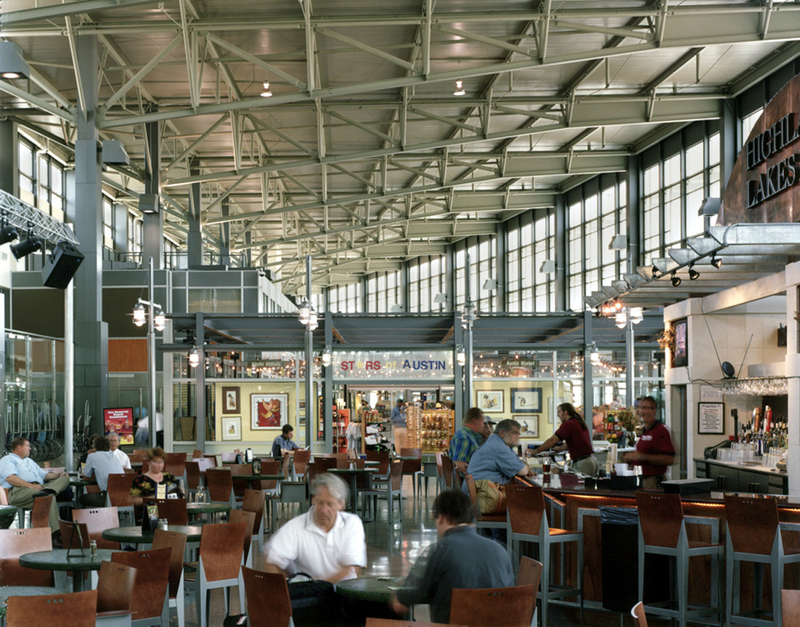 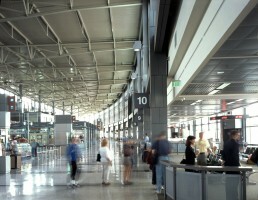 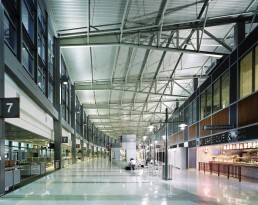 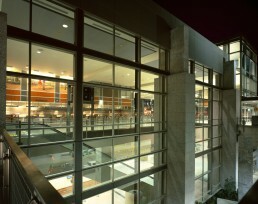 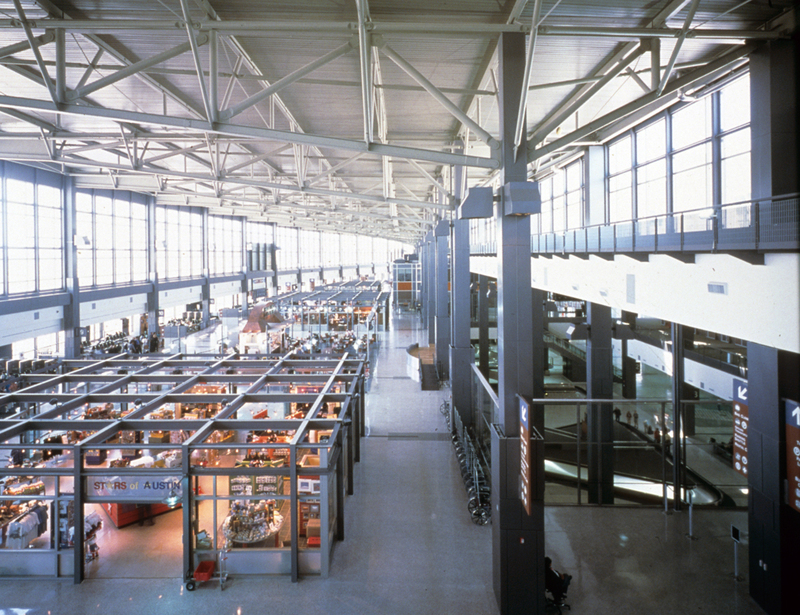 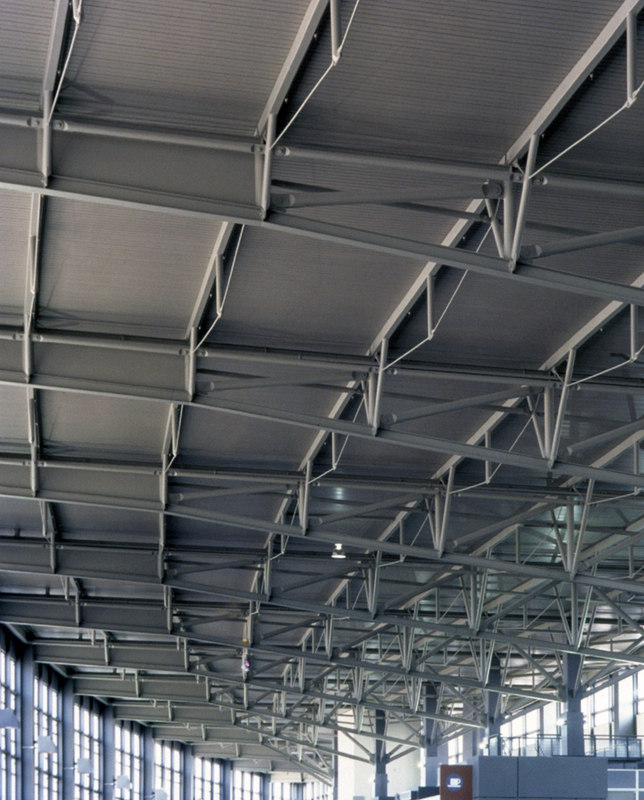 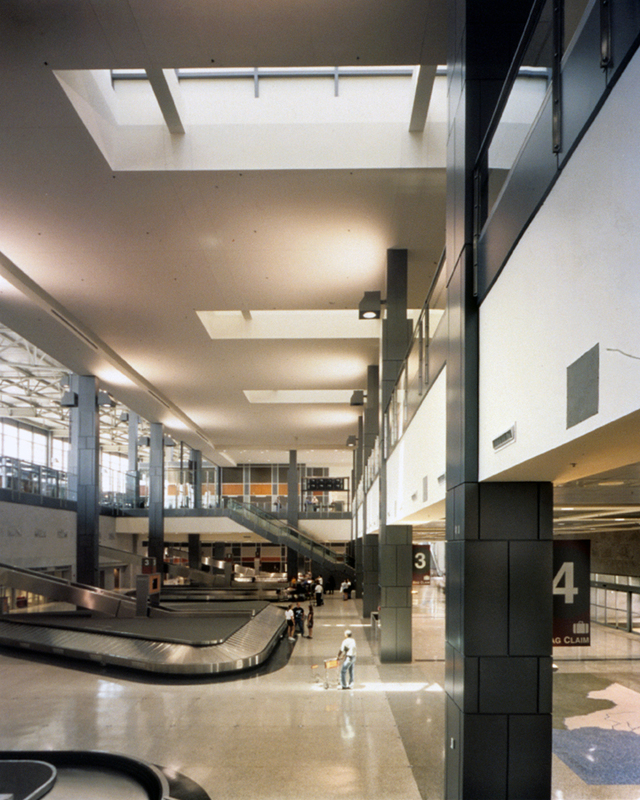 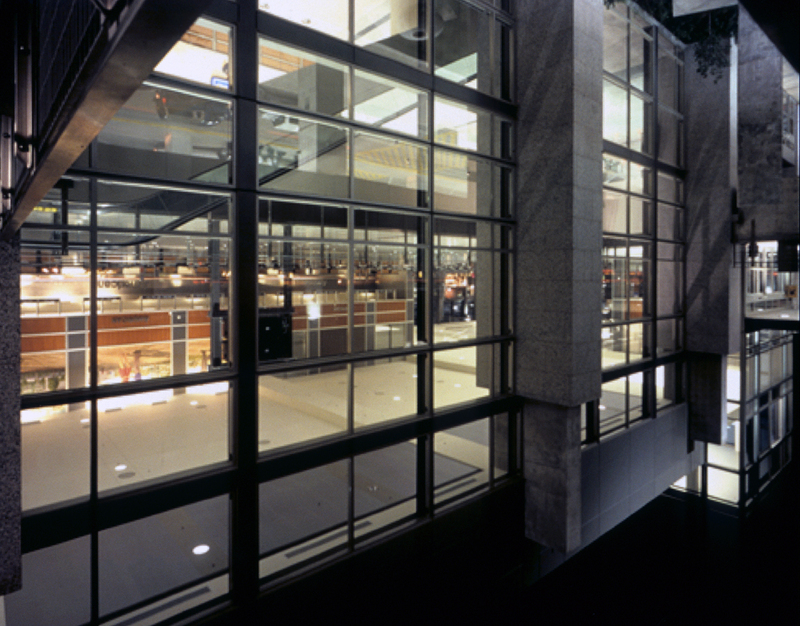 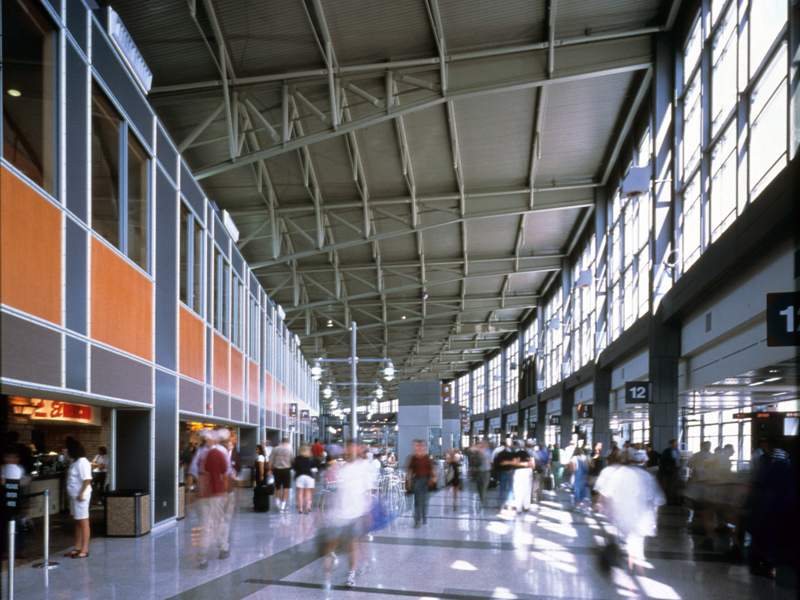 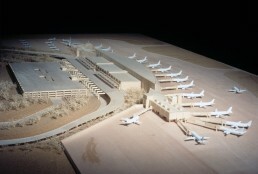 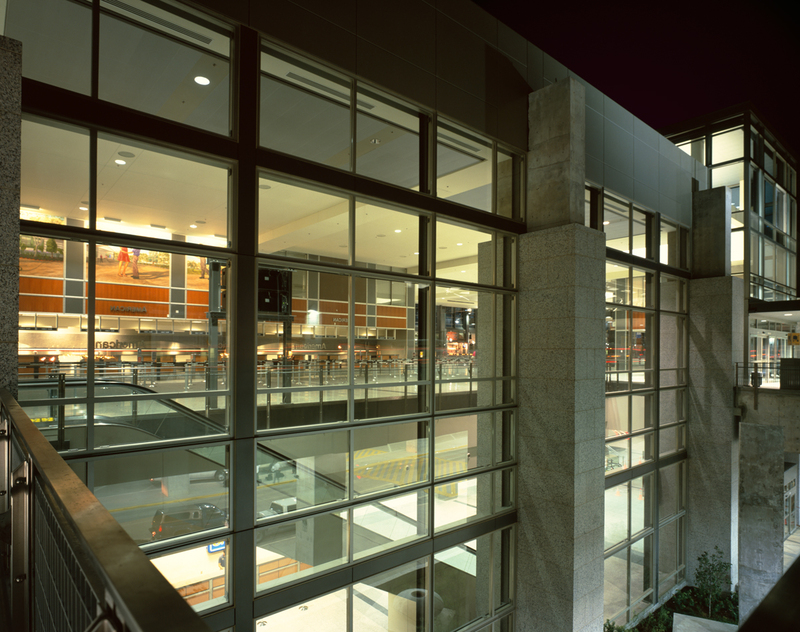 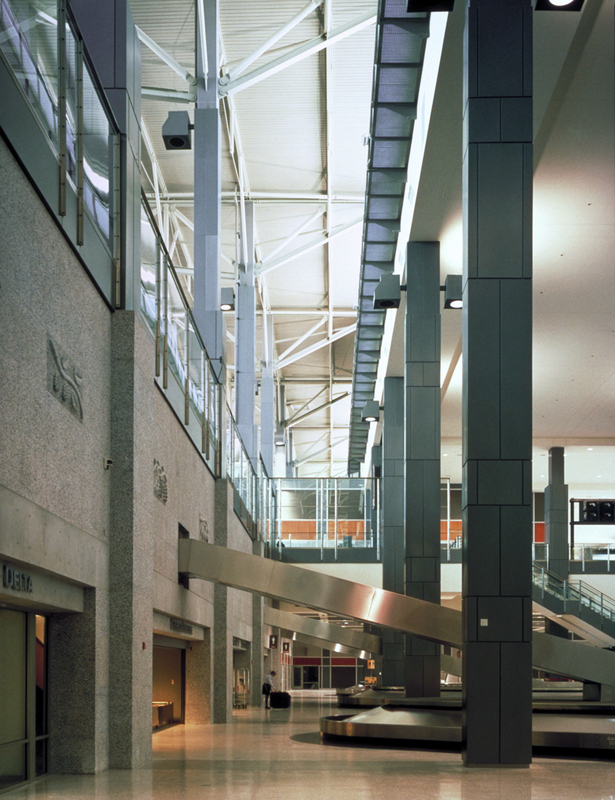 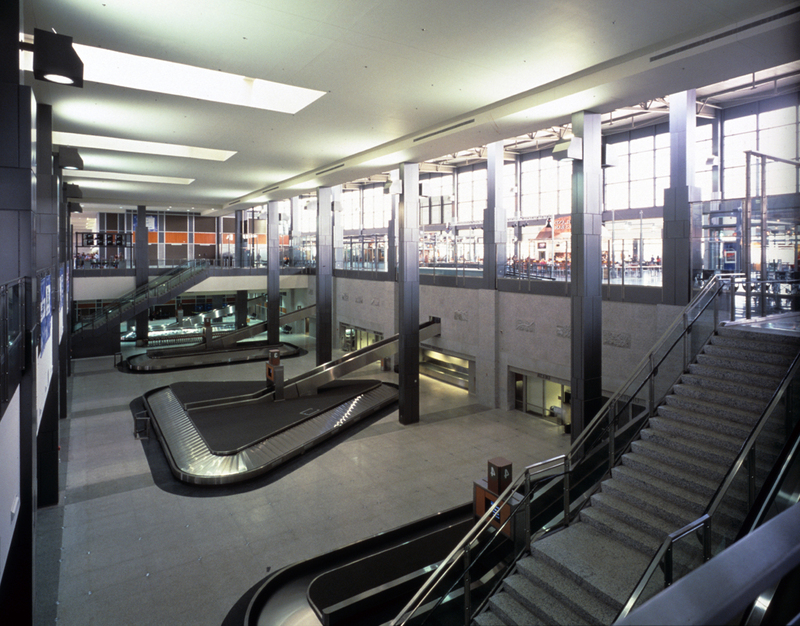 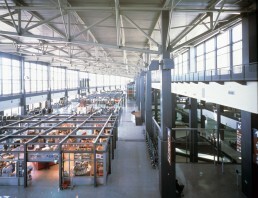 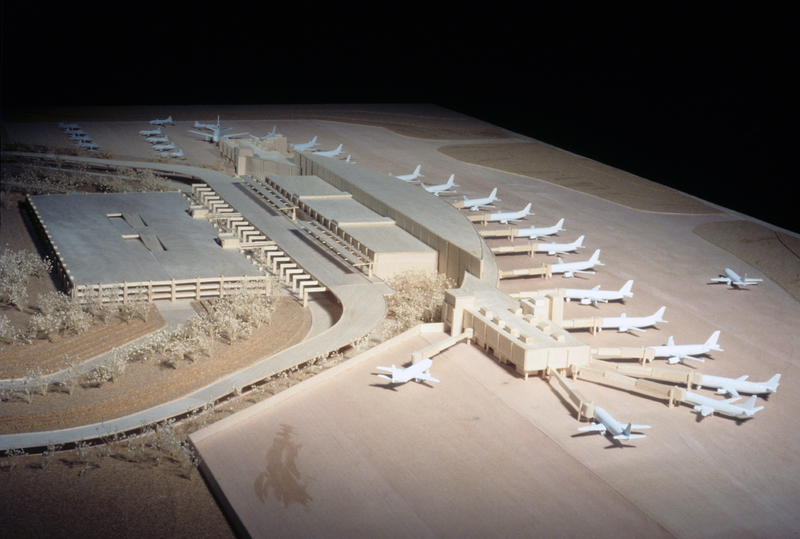 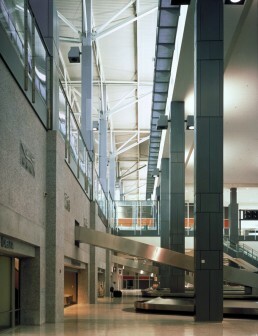 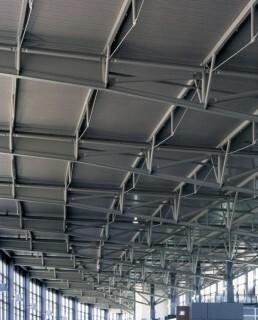 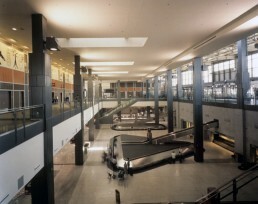 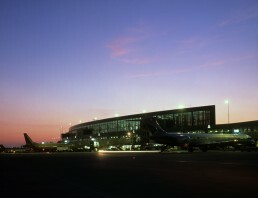 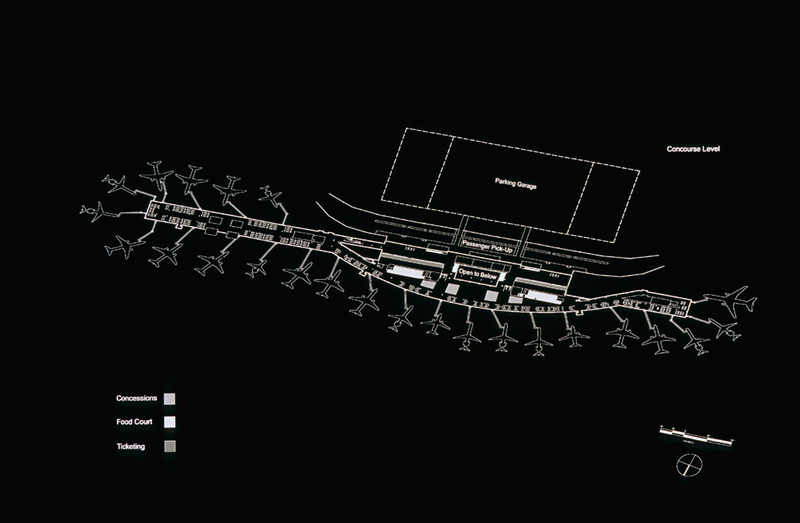 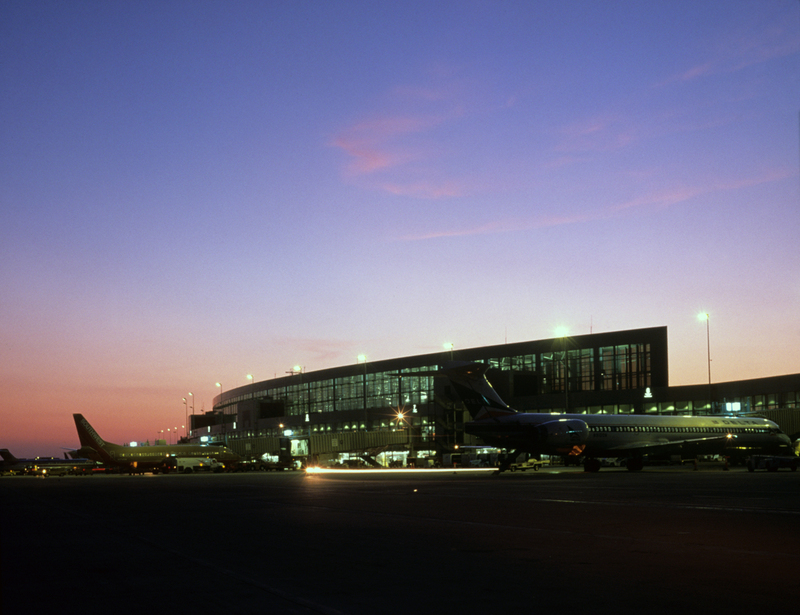 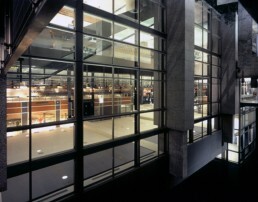 Larry Speck served as lead designer for the 660,000 square foot terminal; the project was a joint venture between PageSoutherlandPage, Gensler, and several other firms.